There is no pleasure in death, there is no beauty in greed…so why do they do it? Why do abortionists kill, how do they find people to work for them, HOW do they aquire the property to build these killing centers? For instance, in my city the abortion facility is next to a small strip mall which has a legendary restaurant on one side, a doctor’s office [real doctor] on the other side and a middle class neighborhood. Houses are NEXT DOOR, not ‘walking distance’. How do they feel about it….I wish I knew. 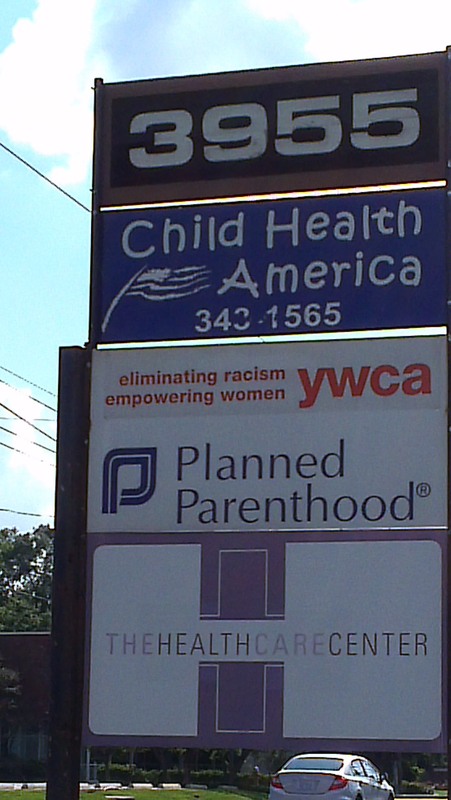 Considering that the sign out front says ‘Professional Building’ is a great clue – you see, these killing places don’t advertise that they are building an abortion facility…they say ‘health center’. While driving around Baton Rouge, I find the Planned Parenthood ‘Health Center’, which is OF COURSE very close to LSU and BRCC. Planned Parenthood stalks students and kids. The Delta Clinic abortion facility is not close to PP, it’s not even walking distance. Planned Parenthood makes sure it distances itself from the ‘competition’. Planned Parenthood is no friend to other abortion facilities. But back to the Baton Rouge PP – if they decide to expand they will have to aquire other propery. I will say that it was great to see a prolife center right next to Delta. I plan to go there this coming week to see what kind of work they do and their observations of Delta. Also, pray for us – there is a counter pro-abort prochoice protest that will be at the NOLA press conference. I’m glad…it shows that Planned Parenthood is NERVOUS. Previous postDEATH IS SOLD HERE: GOSNELL CHOSE LIFE. FYI- doctors who perform abortion procedures are certified professionals- it’s extremely insulting for you to say otherwise. ‘Certified’ would be correct…and lest we forget Drs. Gosnell and Karpen? Yes, fine upstanding certified ‘professionals’. Yeah, two individuals don’t represent the majority. Hate to break it to you. BREAKING: Tip of the iceberg.